The salon will be held Thursday, February 16th, 2017at FSCJ-Downtown Campus, Building A-1068, from 6-8 pm. 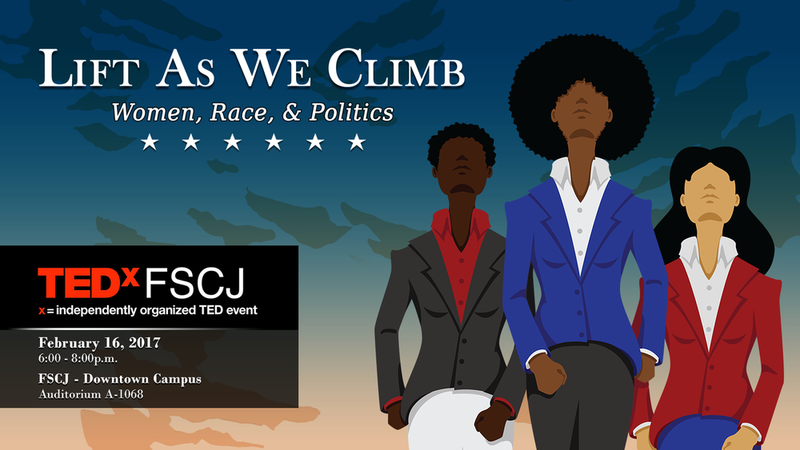 TEDxFSCJ will host a salon exploring how race and gender intersect along the path to elected political office. The evening will feature a panel discussion with women of color who will share their first-hand experiences working within the political process. The panelists will address how others may enter the political arena, what it takes to run a campaign, and the challenges and triumphs of a life lived in public service. Rounding out the evening will be the viewing of select TED talks and opportunities for audience participation. Former Florida Lieutenant Governor Jennifer Carroll has a long and distinguished career in the civil, military and private sectors. As Lt. Governor, Carroll sought to increase military operations in Florida and protect the state’s military bases. As a member of the Florida House of Representatives, she sponsored a jobs package that provided tax credits to encourage companies to hire out-of-work Floridians. As Executive Director of Florida Department of Veteran’s Affairs, Carroll helped Florida secure two national veterans’ cemeteries, three veterans’ nursing homes and funds for the state’s World War II monument in Tallahassee. And as Chairperson of the Florida Council on Homelessness, she sought to provide enhanced services for solving homeless problems across the state, particularly within the veteran community. Current Chief Executive Officer of AGAPE Community Health Center, Inc., Mia L. Jones plays a vital role in Duval County’s health community. 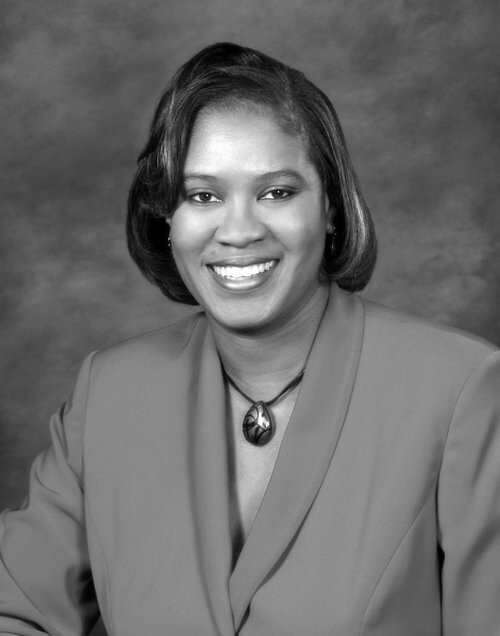 Prior to assuming her current position, Jones served as Director of Boards and Commissions and the first Health Commissioner under Mayor Alvin Brown. As a proud representative of the state’s 14th District, she spent eight years in the Florida House of Representatives and served as the Ranking Member on the House Select Committee on Health Care Workforce Innovation and Health and Human Services Committee. Jones is a statewide and national thought leader recognized for her commitment to expanding healthcare for the uninsured and maximizing access to telemedicine in community health centers and in school-based care for children. CEO and President of the Clara White Mission, Ju’Coby Pittman has spent the past 24 years serving the Jacksonville community. Under her leadership, the Clara White Mission has expanded from a soup kitchen to a one-stop community development center designed to support job training, job creation and housing for the less fortunate. Through her vision and the support of staff and board members, the Mission has developed a Social Enterprise Service for job creation on-site called Ashley Street Catering and Project Clean City. Pittman’s innovative training programs have been featured on the “Today Show” and she is the proud recipient of numerous accolades, including the Leadership Jacksonville Award, The Tillie Fowler Leadership Award and the Jessie Ball DuPont Fund Award.